A new public sector directive on locality allowances has been released, essentially updating the previous directive from 1999. The purpose of the directive is to prescribe the locality allowances payable to officers and employees appointed to work at the centres named in the directive. Under the Public Service Act 2008 and the Industrial Relations Act 2016, locality allowances are paid to public service officers and temporary employees engaged under the relevant sections of the acts. one-half of the full rate of locality allowance for the centre, if the employee does not have a dependent spouse, dependent de facto spouse or dependent child. The Union has been able to establish that the Department of Education (DoE) process is to automatically pay eligible employees the half rate. If the employee is entitled to the full allowance, the department has indicated that the employee needs to complete a form known as the locality allowance declaration. Further, the DoE’s process is to reduce all eligible employees’ locality allowance rate to the half rate (to minimise overpayments), leaving the employee to reapply for the full rate (where applicable). Obviously, this only works if the employee is getting the timely notification of information. 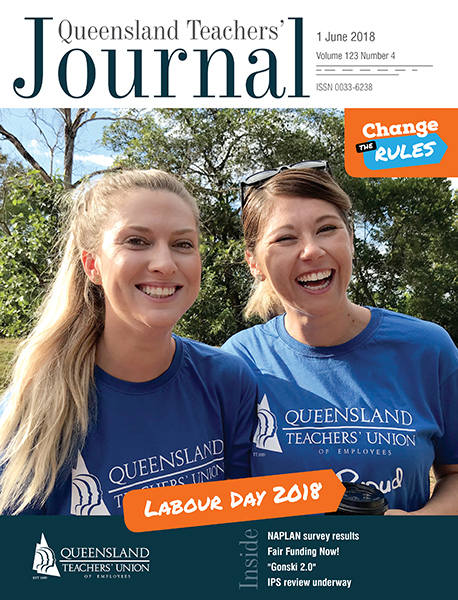 The department has advised the QTU that the change to the half rate will be undertaken during term one and communication sent to schools to remind employees to complete the form if they are eligible to the full rate (that is the family rate as oppose to the single rate). Recent QTU enquiries on behalf of members have identified that the internal payroll process in relation to payment of locality allowances has not been accessible to employees. The QTU has been advised that that has now been rectified. the conclusion of the circumstances leading to the claim. ” The QTU is committed to working with the DoE to ensure adequate and timely notice to employees of their entitlement to the appropriate level of locality allowance.